A day late, but I also got my gift swap! Sorry for the graininess, but I took this photo in crappy indoor lighting because we just passed the shortest day of the year, and it still gets dark at 3:30 pm. 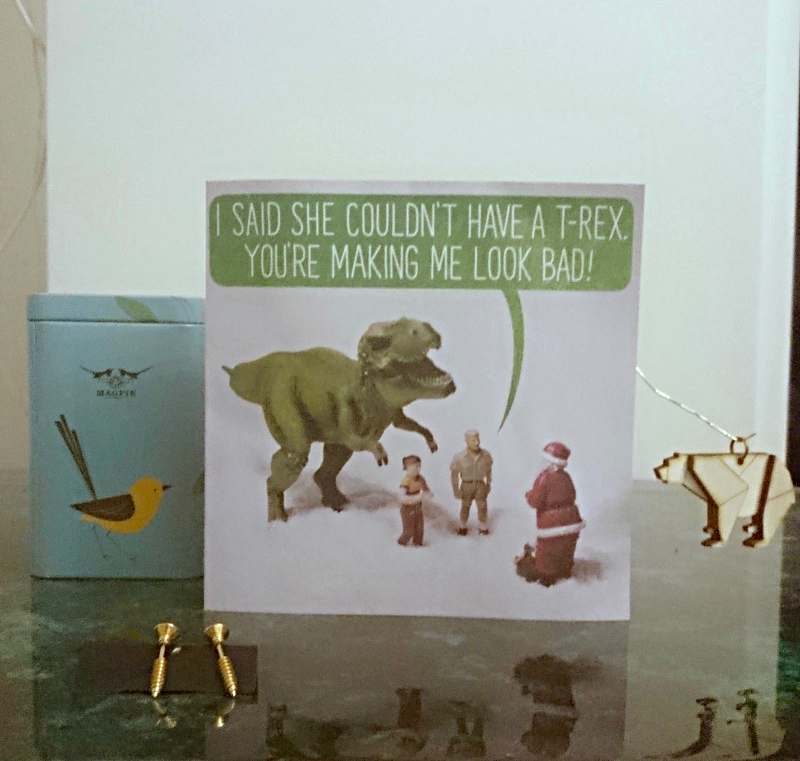 I received this fabulous card, badass earrings, and a seasonally appropriate polar bear in a very cute tin with a secret compartment. I just showed my swap buddy my jewellery pintrest (created for Guyden to help him with shopping for me) and asked for some weird jewellery or make up. I am wearing the earrings right now.